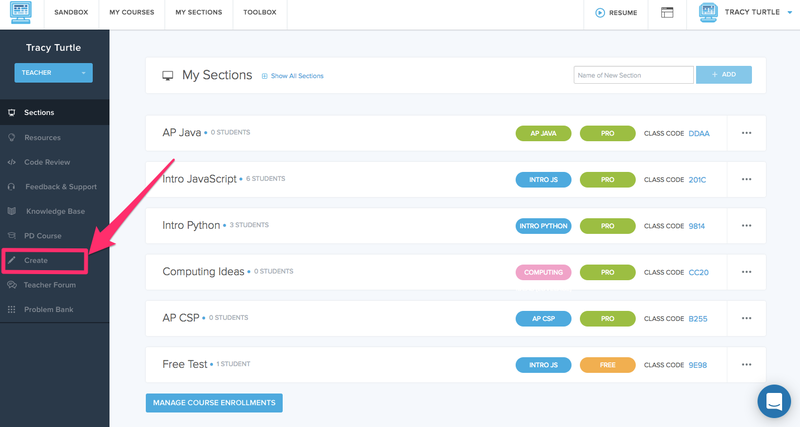 When you create your own custom exercises or resources using the CodeHS Create functionality you can also share those resources with others in the Problem Bank. To ensure that your resources are shared, you need to enable the shared in problem bank option on your resource overview tab. To create a new exercise or resource edit the playlist you want the new resource to be added to. If you have not yet created a playlist you can find more information on how to do that here. Once you have created the new resource you'll be able to set whether you want this to be shared in the CodeHS Problem Bank. To enable or disable sharing click the "In Problem Bank" toggle. 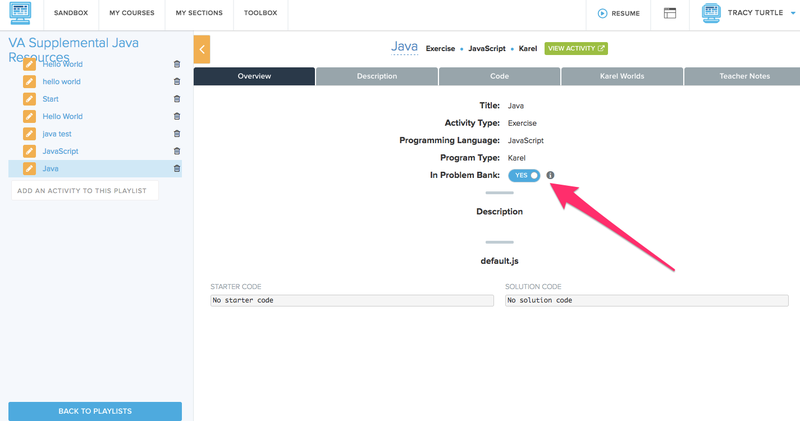 When the toggle is enabled others will be able to access and use your resource by searching the CodeHS Problem Bank.